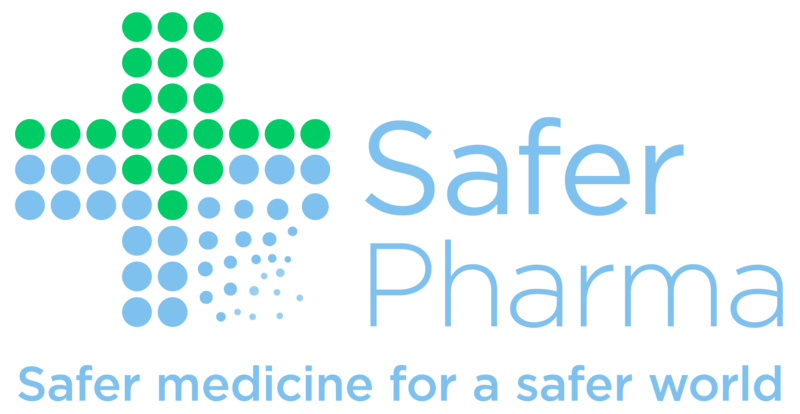 On May 31st HCWH Europe with Global Green and Healthy Hospitals (GGHH) co-organised the webinar Safer pharma: how healthcare can reduce pharmaceutical pollution. 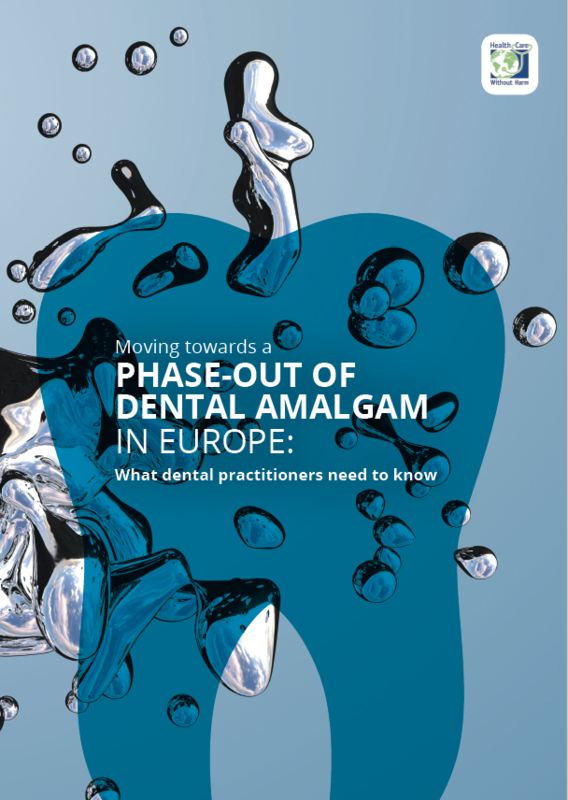 This webinar was created with the aims of raising awareness about the issue and enabled participants to apply newly gained knowledge in their daily practice. You can view the presentations and a recording of the webinar below. Pharmaceuticals in the environment represent a global pollution problem – over 631 different pharmaceutical agents or their metabolites have been detected in at least 71 countries on all continents. Pharmaceutical residues have been detected in surface water, sewage effluents, groundwater, drinking water, manure, soil, and other environmental matrices. Furthermore, antibiotics in the environment can promote the development of antibiotic-resistant pathogens a major global health threat. However, little is known about the effects on humans from continuous, long-term exposure to low concentrations of pharmaceuticals. 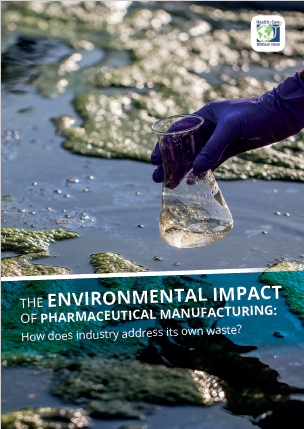 At the international level, policy makers have begun to develop strategic approaches to address this problem aiming to reduce pharmaceutical pollution. Tim aus der Beek: He has studied hydrology in Freiburg (Germany) and Vancouver (Canada). Between 2005 and 2012 he has been employed in Germany at the Center for Environmental Systems Research (CESR) in Kassel, and at Heidelberg University, where he received his PhD. Here, the main research interests focused on integrated water resources management and hydrological impact modeling. Since 2012, Tim aus der Beek has been employed at the German IWW Water Centre in Mülheim an der Ruhr as a senior researcher and consultant. His current research projects deal with pharmaceuticals in the aquatic environment, organic micropollutants in Chinese and German surface waters, water resources management and water quality issues in general. He has acquired multiple research grants from various national and international organizations, such as EU-Horizon2020 and UNEP. Tim aus der Beek is also author of 25 water related publications. Anja Leetz: Executive Director of Health Care Without Harm Europe. She worked for more than ten years with such environmental and health organisations as Friends of the Earth and the European Environmental Bureau in the United Kingdom and Belgium. Anja holds a teaching qualification, a BA in Photography, and has a Foundation Manager qualification from the European Business School in Germany. Thomas Moller: Environmental Coordinator at Aarhus University Hospital. His area of work includes waste, wastewater and circular economy. He has been working for some years with hospital wastewater with focus on both treatment technology and central (municipal) versus local (hospital) treatment. 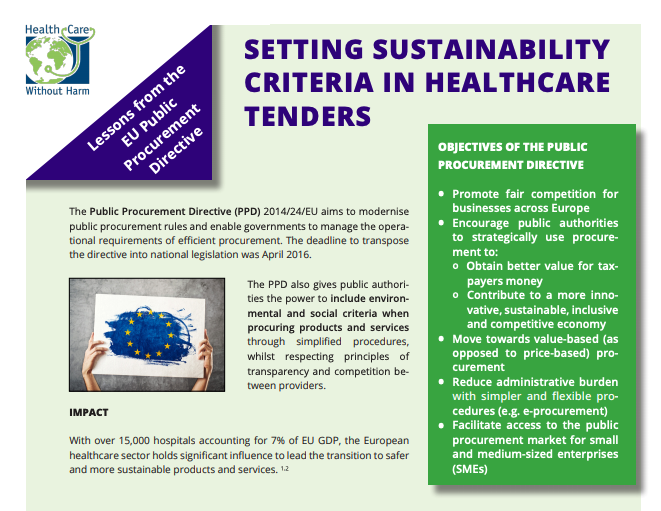 Susan Wilburn: Sustainability Director, Global Green and Healthy Hospitals, Health Care Without Harm and health sector civil society representative to the Bureau of the International Conference on Chemicals Management (ICCM). She is an occupational & environmental health specialist (fields of study: nursing, public health, epidemiology). Prior to joining HCWH she worked at the Department of Public Health, Environmental and Social Determinants of Health at World Health Organization headquarters in Geneva for eight years, where she coordinated the “greening hospitals” initiative, as well as the Protecting Health Workers – Preventing Needlestick Injuries project. HCWH Europe gratefully acknowledges the financial support of the European Commission (EC), the Federal Ministry for the Environment, Nature Conservation, Building and Nuclear Safety Germany (BMUB), and the Federal Environment Agency Germany (UBA). HCWH Europe/GGHH is responsible for all content; views expressed do not reflect the official views of the EC, BMUB, or UBA.